You're reading a gripping article or story on your phone and suddenly, the display goes a little dim. You know the 30 seconds or 1 minute display timeout you've set is great for regular use, but for reading stacked pieces of text, it's not nearly enough to get through one screen. So you touch the display a little, maybe swipe up and down, just to keep it from sleeping and you continue reading. 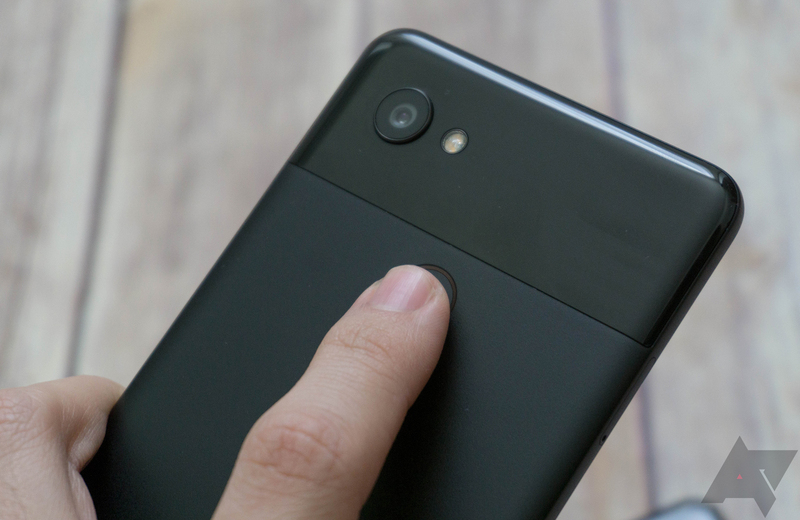 With Android P, you can do something else: touch the fingerprint scanner. It's as simple as that. Once you see that your phone's display has dimmed, put your finger on the scanner for a brief second. You won't feel a buzz or anything, but the display will light up and the timeout will be reset. That saves you from changing your location in the text while reading or doing any unnecessary scrolls on the screen. It's a neat little improvement but it will make reading just a little bit more enjoyable. We've tested this on Android Oreo 8.1 on a Pixel 2 XL and Nokia 7+ and it didn't work. It also didn't work on a first-gen Pixel on P DP1. However, it works on the Pixel 2 XL with P DP2. Since we don't have every possible device and firmware available to test with, we're inclined to think it's a DP2 feature and it should technically work on all devices, not just the 2 XL. Let us know in the comments if you're seeing the same behavior.